My internship experience has been humbling – both professionally and personally – in a uniquely profound way. 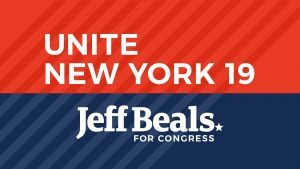 I have the pleasure of working on a local congressional campaign as the campaign coordinator/chief of staff for Jeff Beals, a progressive democrat running against John Faso in NY-19. 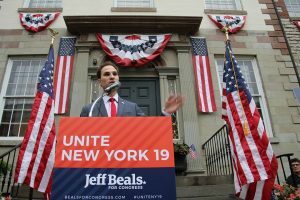 The 19th district includes the Hudson Valley and Catskill regions and is one of the pivotal swing districts in the country. I grew up in this district (albeit under different boundary demarcations), and therefore resonate strongly with the people, culture, and landscape of the area. While I had little intention of working in electoral politics upon entering this program, the experience has been (and continues to be) deeply rewarding. This is the result of several factors: Jeff’s candidacy and the type of campaign he’s running, my personal ties to the district, and what we do on a daily basis to achieve the goals of the campaign. 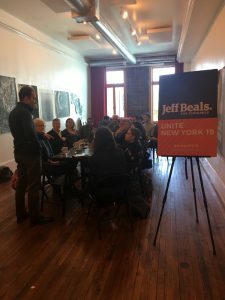 Jeff is a high school history teacher in Woodstock, NY, and a former US diplomat who was decorated by both the US Army and State Department for his service in Iraq. His family has had a farm in the Hudson Valley since his childhood. Jeff is running a people-powered campaign to stand up to corporate power and bring a new generation of progressive leadership to Congress. Our campaign relies on a network of grassroots support to unite constituents under common issues. 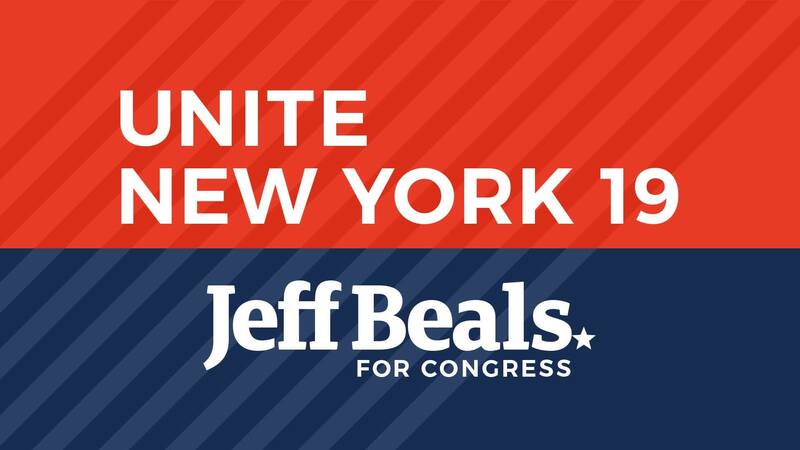 While there are a number of critical issues important to life in NY-19, I want to focus on what we’ve been doing to build our environmental platform. The Hudson Valley and Catskills are synonymous with environmentalism. Home to some of the nation’s most pristine and bucolic forests, nature preserves, agricultural land, and water bodies, NY-19 is flush with environmental organizations working to protect and enhance the beauty and integrity of the natural landscape. Our district relies heavily on its natural resources for food, drinking water, recreation, transportation, tourism, and cultural identity. Jeff and I have been working with this diverse group of environmental leaders to build a comprehensive and innovative environmental platform that strengthens existing efforts to conserve and protect the regional landscape. What makes our challenge unique is trying to identify where and how federal policy is most impactful at a local level with regard to the environment. Luckily for me, I’ve been able to draw upon my experience at Bard CEP in order to do this. Through my work on this campaign, I’ve met with CEOs, Executive Directors, Policy Directors, and other managerial staffers at organizations such as the NY League of Conservation Voters, the Open Space Institute, Columbia Land Conservancy, Hawthorne Valley, People not Pipelines, City of Kingston Parks and Recreation, and more, to discuss a range of local environmental issues. In these conversations, we generally talk about how these issues affect NY-19, current efforts to respond to these issues, where else these issues are being reported, and how federal policy can play a role in addressing them. I also recently had the opportunity to put together a forum on our community and climate change. We brought together a panel of local experts (including Bard CEP director Eban Goodstein) to discuss how climate change is projected to impact the City of Kingston and what efforts are currently underway to mitigate and adapt to future climate conditions. We’re in the process of producing a policy document out of the experience. Because of the unique geography of our district, the campaign will to continue to improve and expand our environmental platform. While my coursework at CEP gave me a strong foundation on many of these issues, I am now learning about some of the more nuanced ways that federal policy impacts the local environment. 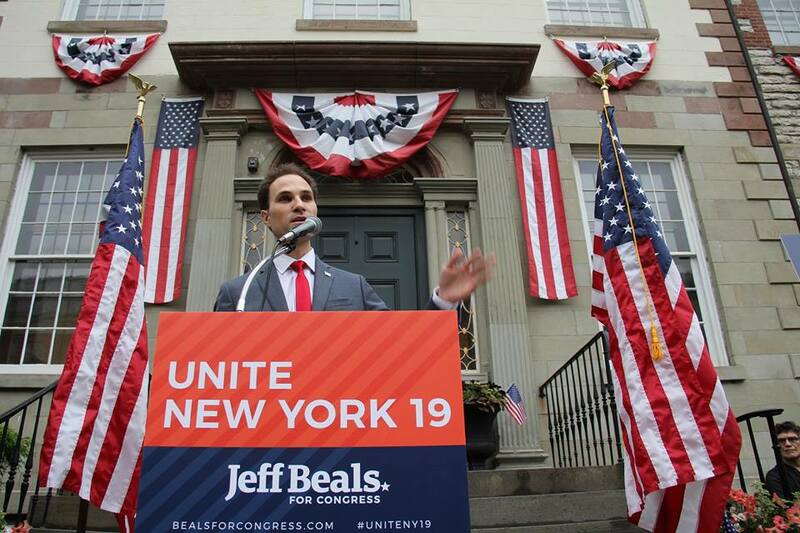 Jeff argues that we must be national leaders in environmental stewardship in NY-19. I agree and I’m excited to help build a meaningful policy platform that supports this goal. Iyla Shornstein is a dual-degree MS/MBA candidate at the Center for Environmental Policy at Bard College. She has a specific interest in sustainable agriculture and agricultural climate change adaptation.